Since 1997, Peter Moskowitz MD, certified career transition coach and life coach for doctors, has empowered hundreds of physicians in one-to-one coaching to improve their career satisfaction, make career changes, find new non-clinical careers, rediscover purpose and meaning in their lives and careers, develop work-life balance, escape from the trenches of professional burnout, and establish exciting and challenging lives in retirement. He is a nationally-recognized speaker, author, and workshop facilitator, and a sought-after keynote lecturer and workshop presenter on topics relating to physician careers, non-clinical career transitions, and physician health and wellness. "Click on the button, below, to see a more detailed biography of Dr. Peter Moskowitz. Experience: over 350 Physician Coaching Clients since 1997. Experience: over 4000 physicians coached in workshop and presentation settings since 1997. Experience: 23 years in academic medicine at Stanford, and 19 years in a busy hospital-based private practice. Experience: I have successfully planned and executed 3 personal career transitions, including a new non-clinical career. Click on the button, below, to learn about the 9 reasons I am so effective in my coaching work with physicians. I connect with you through listening, empathy, understanding and humor. I support you with resources, unconditional positive regard, and by holding you accountable for your own success. I lead from behind. I will rarely give you my direct advice and never push you in any specific direction. Click the button, below, to learn the 11 foundation stones of my Coaching Approach. If you’re looking at this website, chances are you are fed up, burned out, seeking better work-life balance, looking for a new non-clinical career, thinking of retirement, or all of the above. Perhaps you are just looking to regain the joy and meaning in your medical career. CPPR workshops and lecture presentations will help your organization build morale, retain key employees, optimize the health and wellness of your team, reduce their stress, and in so doing support patient safety. Click the button below to learn more about my workshops and lecture topics and content. Established in 1997, The Center for Professional and Personal Renewal in Palo Alto, California provides career transition coaching and life coaching for physicians nationwide during these times of unprecedented change in American healthcare. Founder, Peter Moskowitz, M.D., a certified career transition and life coach, has spent nearly two decades helping hundreds of doctors manage change, transition to new non-clinical careers, revise existing clinical careers, manage the stresses and challenges of clinical practice, avoid or manage professional burnout, improve their work-life balance, their leadership effectiveness, plan for “protirement,” and regain satisfaction and meaning in the practice of medicine. He is a nationally-recognized speaker, workshop facilitator and author. In addition to career transition and life coaching for individual physicians, Dr. Moskowitz offers workshops, retreats, and keynote presentations for physician and hospital organizations on a variety of relevant topics including physician renewal, finding the perfect job, planning for non-clinical career transitions, building career resilience, improving work/life balance, renewing academic careers in medicine, managing practice and litigation stress, maximizing physician’s leadership effectiveness, enriching the medical marriage, and pro-active planning for a passionate retirement. His coaching and workshops are known for their pragmatic approach and ability to reenergize participants. 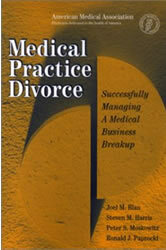 He is co-author of the book, “Medical Practice Divorce”, a primer devoted to the topic of medical practice transitions, published in October 2001 by the American Medical Association Press. He writes, conducts research, and publishes on a variety of topics impacting physician careers and career satisfaction and is frequently interviewed for articles about the changing milieu of medicine. 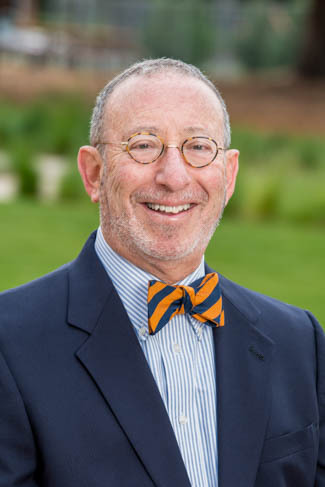 Dr. Moskowitz brings to his coaching work over 4 decades of experience in both the academic and private sectors of American medicine. He is currently Clinical Professor of Radiology, Emeritus (active) at Stanford University School of Medicine and Radiologist at Lucile Packard Children’s Hospital at Stanford. His on-going clinical work keeps him in touch with the realities of life and work for physicians in the trenches of healthcare. His many years of experience in both private and academic medicine are unusual, and one of the keys to his reputation for success as a career and life coach. He is known as an invaluable resource to doctors seeking new career transitions, renewal of existing careers, to recapture the joy of medical practice, and a seasoned mentor to guide their recovery from practice stress and burnout. Dr. Moskowitz trained at and was certified in professional and organizational coaching by the Hudson Institute of Santa Barbara. He is a member of the American Counseling Association, The Professional Coaches and Mentors Association, and the New Edges Learning Community.